Why Hong Kong attracts global businesses? a stable, highly-efficient, business-friendly cosmopolitan. Photo Courtesy: Wikipedia user-Wing1990hk | Victoria Harbour, Hong Kong iconic landscapes, situated between Hong Kong Island (top) and Kowloon (bottom) in Hong Kong. You can implicitly describe your company’s business nature to on company registration, and you are not bounded to do this registered business after incorporation. Some business intervening public interests are restricted to holders of specific licenses, trading and consultation businesses are not restricted. Offering a predictable tax system and low tax rate. Hong Kong imposes only 3 kind of direct taxes – Profits Tax (for incorporated body), Salaries Tax (for personal income) and Property Tax (for income sourced from Hong Kong property). Hong Kong adopts territorial basis of taxation, only incomes sourced from Hong Kong are taxable. For corporate profits, 2-tier tax regime is adopted, the first HK$ 2 millions profits is taxed at 8.25%, while the outstanding will be taxed at 16.5%; For personal employment income, progressive tax regime with basic allowance rules, the first HK$ 132 K incomes is tax-free, tax rate on the next first HK$ 45 K incomes block is 2%, the second block is 7%, the third block is 12%, while the remaining is 17% (starting at year 2018). Most of the taxes that are common around the world that are not the case in Hong Kong. Neither sales tax or VAT, withholding tax, capital gains tax, dividends tax or estate tax are found here. Optimize your tax. AsiaBC can handle the tax filing and accounting tasks for your Hong Kong limited companies. Hong Kong is well perceived as its status of “free port” and straightforward customs clearing. Duty is only paid on limited products such as tobacco. Moreover, the import of wine and beer has been made to duty free. This has promoted an attractive wine import, export and storage business serving retail and individual buyers. If you want to grow your business to reach Asia as well as Mainland China, Hong Kong is in perfect location. Major business cities like Beijing, Shanghai, Singapore, Taipei, Manila, Kuala Lumpur and Perth are in the same time zone as Hong Kong, and Bangkok, Jakarta, Seoul and Tokyo are within one hour’s difference. You can see over 100 airlines offering flights to about 180 destinations and about 1000 daily flights between Hong Kong and the rest of the world. 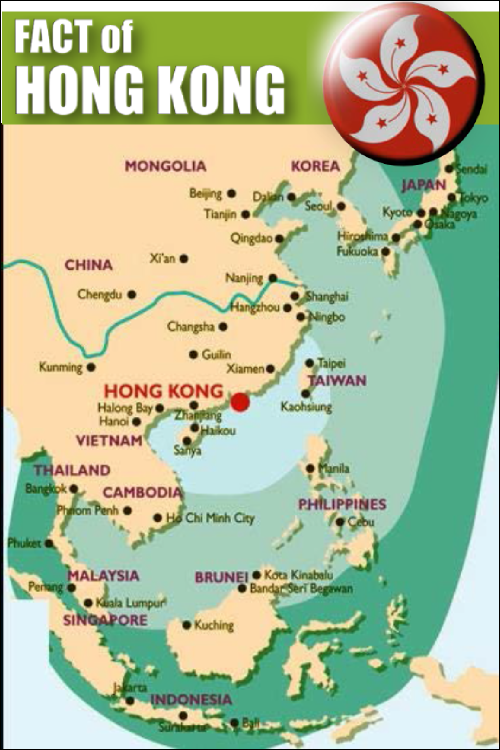 Hong Kong is located in the heart of East Asia. As at August 2014, there are 61 Consulates-General, 61 Consulates and 6 Officially Recognised Bodies in Hong Kong, more than any other city in the world. Making our city as of a perfect place for oversea investors according to HKSAR web portal. Hong Kong has the freest economy in the world for successive 20 years according to the study held by The Heritage Foundation since its inception in 1995. Hong Kong ranked #1 because of its open markets, rule of law, limited government spending and high degree of the rule of law. In 1997, the sovereignty of Hong Kong was transferred from United Kingdom to People’s Republic of China but Hong Kong has a separate political and legal system from Chinese sovereignty. According to the Basic Law, Hong Kong has retained all the fundamental strengths such as independent judiciary, the rule of law and free flow of information and capital that fortifies our success as a highly efficient business city and enhances its attractiveness of access to opportunities in Mainland China. According to the Transparency International’s Corruption Perceptions Index 2013, Hong Kong is one of the “clean” business cities around the world. Proactively fighting against corruption, the Independent Commission Against Corruption (ICAC) which is a legally empowered law enforcement body has given power to investigate and bring the corrupt to book since 1974, it demonstrates ICAC’s determination to fight corruption to the public and thus educate the public to show zero tolerance to act of bribery. Hong Kong’s strong public administration ensures that companies are free to pursue their business concerns on a level playing field. Hong Kong’s legal system, which is stipulated in the Basic Law – the constitution of Hong Kong – is based on the British Common Law system and has been grained an independent judiciary after reunion to Chinese sovereignty, this system is familiar with one-third of the world’s population living in common law jurisdictions or in system mixed with civil law. It makes Hong Kong’s business environment favorable to business. Hong Kong, with a land area of only 1,104 square kilometers and over 50% of it is undeveloped rural area, is a city packed with over 7 million population and over 380000 registered private vehicles, here may not be a good place for cyclists especially in urban area. However, we have the well-managed and ever-growing public transportation system to serve over 11 million busy passenger everyday: Railways, Buses, Minibuses, Taxis, Ferries, and Tram. The monetary policy objective of Hong Kong is to maintain a stable external exchange value of the currency of Hong Kong. The Hong Kong Dollar ($/HKD/HK$) is the currency of Hong Kong, its exchange rate in the foreign exchange market against the US dollar, at around HK$7.75~7.85 to US$1, which is 100% (at least) backed by US dollar reserves of Hong Kong Exchange Fund. Hong Kong has 159 licensed banks, 20 restricted license banks and 23 deposit-taking companies, together with 61 local representative offices of overseas banking institutions. These institutions come from 36 countries and include 70 out of the world’s largest 100 banks. Together they operated a comprehensive network of about 1 372 local branches, excluding their principal place of business (updates in May 2014 – The three-tier banking system of Hong Kong). The absence of exchange control help Hong Kong to maintain an active and mature foreign exchange market, Hong Kong ranked the #5 largest foreign exchange market by turnover (survey by the Bank for International Settlements in 2013). Hong Kong’s stock market ranked the #2 largest in Asia in terms of market capitalization and #6 in worldwide. The financial products are traded in Hong Kong including ordinary shares to options, warrants, Callable Bull Contract (CBBCs), Exchange Traded Funds (ETFs), Real Estate Investment Trusts (REITs), units trusts and debt securities. The Stock Exchange of Hong Kong (SEHK) has 1673 companies listed which have raised totally HK$3,833.4 billion since 1993 (updates in May 2014). Hong Kong is the world largest Renminbi (RMB: currency of People’s Republic of China) offshore business hub, the provision of RMB clearing platform in Hong Kong supports banks from all ovver the world to conduct their transaction in RMB. AsiaBC can help you to open corporate bank account in pristine banks of Hong Kong.